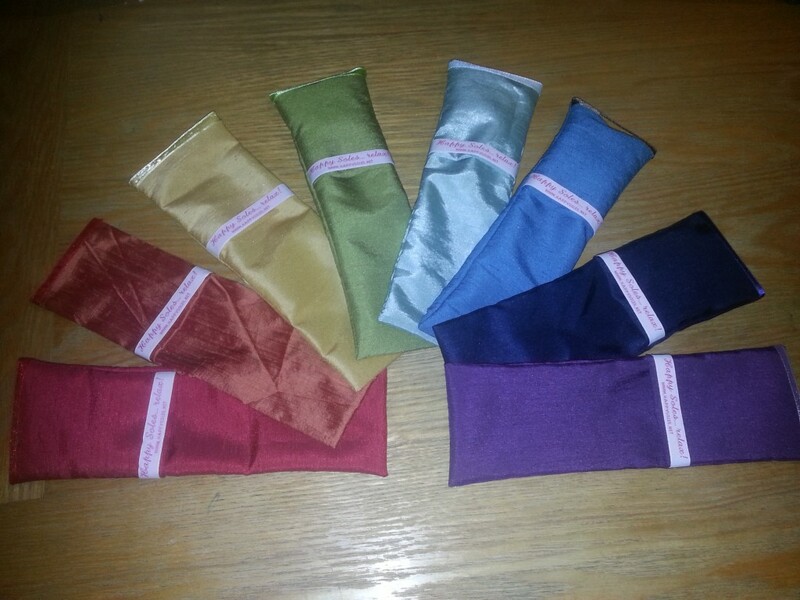 A herbal eye pillow is very relaxing placed over the eyes or next to the face as you relax. They are made using high quality herbs and linseeds or rice, which are stitched into a lining inside the pillowcase, ensuring that no filling escapes. They are made to order, using quality fabrics in a broad range of styles and colours, to suit everyone. Approximate size is 23cm x 8cm. Approximate weight 70g. I have formulated 5 separate herbal mixes for you to choose from (please scroll to the bottom of this page for details), but with discussion I am able to adapt or even make your own signature herbal mix especially for your own herbal eye pillow, or for someone special. 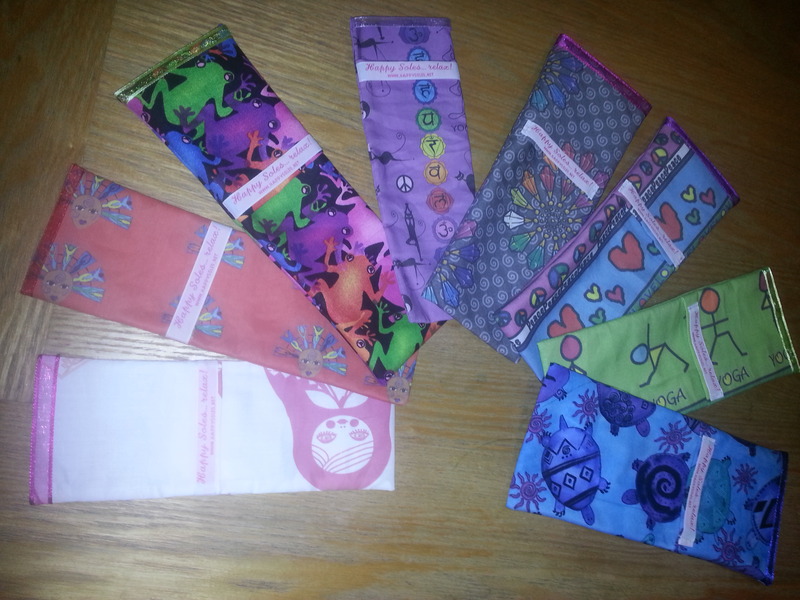 These eye pillows are great for relaxing after a hard day, to help you switch off and drift off to a deep relaxed sleep. Have sweet dreams mix in your bed, and creative mix by your favourite armchair. The choice is yours! Use your herbal eye pillow while your baby is sleeping and take some time to unwind and chill out from the demands of a newborn. These eye pillows make perfect gifts for the friend who has everything. They are a very practical gift which is all the more special as it can be tailored to the recipient in colour and scent. Each herbal eye pillow is individual so may differ slightly to the one you see in the photograph, but it will not be obvious. These pillows can be microwaved for 30-60 seconds for warmth, and are perfect for a calming ten minutes to recharge you on a lunch-break from work. Each herbal eye pillow comes with a ribbon stitched into one end, so if you prefer to sleep on your side you can ‘hook’ the ribbon over your ear and the pillow will stay over your eyes. Please note: This is not a toy. Do not use with babies or young children. Sweet dreams mix: contains mugwort, rose petals, rosemary, mint and cloves. Helps the sleeper to sleep sweetly. Breathe easy mix (anti-snore): contains eucalyptus, camomile, mugwort, peppermint, orange peel, sage, thyme, cinnamon and chilli. Helps open up the airways and may reduce snoring tendencies. Healing mix: contains camomile, marjoram, coriander and thyme. Helps to soothe and relax. Creativity mix: contains lavender, rose petals, mint, cloves and cinnamon. Helps to inspire creative dreams and confidence. 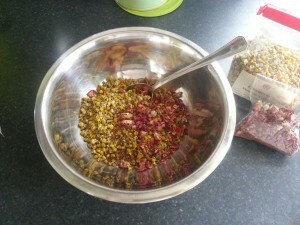 Nurturing mix: contains lavender, camomile, rose petals and mint. Gentle and restful, nurturing blend. The measurements are approximate. Some patterned pillows are wider than others to take account for the patterns, but may be slightly shorter in length. No Replies to "Herbal Eye Pillows"